The Institute for Policy Research is a British charity which funds conservative think tanks. Its 2005 Accounts reveal grants to the Centre for Policy Studies (£157,000), the European Policy Forum (£2,500), Eurofacts (£36,500), Open Europe (£70,000) and Politeia (£10,000). The Institute was created in 1982 via a trust deed dated 1 July of that year by Stephen Barclay, Dr. Arthur Levin and Simon Webley. The purpose of the Institute was said to be the 'advancement of public education and learning by research into Social Sciences management studies and economic policies and the publication of such research. Simon Webley is the Research Director of the Institute for Business Ethics and from 1969-98, he was director of the British-North American Research Association and UK director of the British-North America Committee. Eric Koops a former member of the Territorial Army was a Parliamentary candidate for the Conservatives in Wakefield 1974; had been vice-president of the Political Committee of the Carlton Club 1988- (chairman 1984-88). 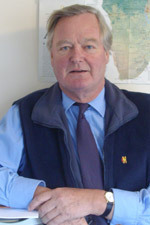 Nicholas Finney who established The Waterfront Partnership (renamed Waterfront Public Affairs in 2007) and the Waterfront Conference Company in 1990 following a career in the ports industry. Both businesses were sold to Freshwater-UK in 2007. Finney was Director General of The British Ports Federation (BPF) and the National Association of Port Employers (NAPE) and led the campaign for the abolition of the Dock Labour Scheme and for the privatisation of the Public Trust port authorities. He was a member of the UK’s Competition Commission (formerly the Monopolies and Mergers Commission) from 1993 to 1999. The Institute for Policy Research has received funding from The Cayo Foundation, The Charles Wolfson Charitable Trust, The David Young Charitable Trust, Duke of Marlborough's Charitable Settlement, The Federated Foundation, The G.R.P. Charitable Trust, The Morgan Charitable Foundation, Nigel Vinson Charitable Trust, The Peter Cruddas Foundation, The Weinberg Foundation, The W T J Griffin Charitable Settlement and The Wyford Foundation. The income received from the Nigel Vinson Charitable Trust between 2004 and 2010 is displayed in the table below. Cayo Foundation ? 4,000 4,000 3,000 2,500 ? ? ? ? ? ? The Charles Wolfson Charitable Trust ? 10,000 30,000 5,000 75,000 ? ? ? ? ? ? Total from known specific sources 9,100 37,050 65,500 105,800 152,550 38,150 60,350 52,800 31,250 90,300 ? The main recipients of donations from the Institute have been the neoliberal think tank the Centre for Policy Studies and the Eurosceptic think tank Open Europe each of which received more than £1 million between 2004 and 2013. Other significant recipients have been a Eurosceptic newsletter called Eurofacts edited by Gerald Frost and Global Britain each of which has received in excess of £140,000 between 2004 and 2013. Keith Boyfield an economist, specialising in competition and regulatory issues has worked for a variety of Think Tank and Policy Development clients including the Institute for Policy Research. He has also worked for a number of think tanks that have received grants from the IPR such as the Centre for Policy Studies, European Policy Forum, Institute of Economic Affairs and Open Europe. Boyfield has also worked for the British-North American Research Association an organisation on which one of the three trustees (Simon Webley) of the IPR has served. ↑ The Institute for Policy Research, Declaration of Trust, 1 July 1982. ↑ The Institute for Policy Research, Declaration of Trust, 1 July 1982. p. 15. ↑ Data compiled from filings at the Charity Commission. ↑ Data based on a financial year ending on 30 September. 2004 Accounts no longer available from the Charity Commission. Identity of recipients of funding not disclosed in reports from 2009 onwards. ↑ Data based on a financial year ending on 5 April. Identity of recipients of funding not disclosed in reports from 2009 onwards. ↑ Data based on a financial year ending on 5th April. 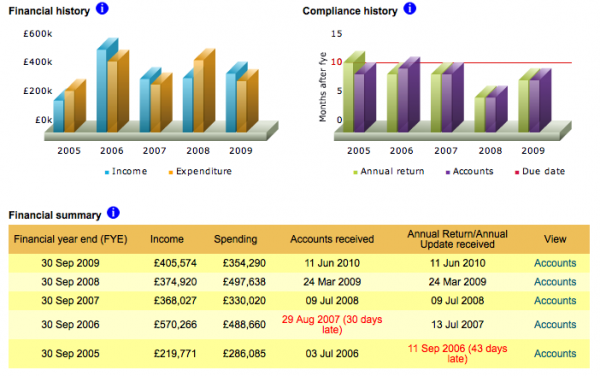 Accounts for 2004-2007 no longer available on the Charity Commission website. No report produced for 2011-2013 as income levels did not reach the threshold. ↑ Data based on a financial year ending on 5th April. Accounts for 2004-2007 no longer available on the Charity Commission website. No report produced for 2010-2013 as income levels did not reach the threshold. ↑ Data based on a financial year ending on 31st March. ↑ Data based on a financial year ending on 5 April. ↑ Data based on a financial year ending on 31 December. Accounts for 2004-2007 no longer available on the Charity Commission website. 2013 Accounts not yet available. ↑ Data based on a financial year ending 31 March. Accounts for 2004-2007 no longer available on the Charity Commission website. No accounts submitted to the Charity Commission in 2011 and 2012 as income was too low to reach the threshold (£12,969 and £5,966 respectively). Expenditure, however, was much more significant (£1,260,425 and £853,367, respectively). ↑ Data based on a financial year ending 5 April. No accounts submitted to the Charity Commission in 2012 and 2013 as income was too low to reach the threshold (£755 and £984 respectively). Expenditure, however, was more significant (£83,151 and £78,654, respectively). This page was last modified on 28 November 2017, at 15:04.